Breakthrough strategies for trading futures--on-line! Futures traders are leaving the pits and phones behind to trade on-line. 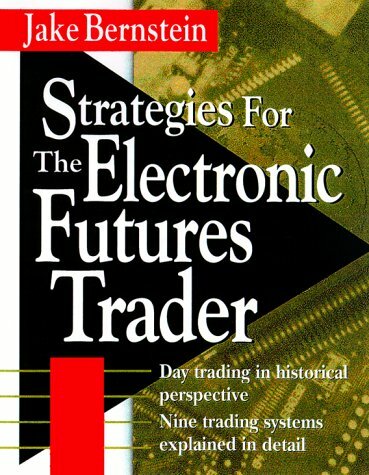 In The Electronic Futures Trader, legendary trader and author Jake Bernstein reveals the winning strategies and techniques traders will need to bolster their trading fortunes--via the new and efficient electronictrading systems. Bernstein introduces a wide range of trading strategies designed especially for electronically trading the futures markets. Covering everything from beans and cattle to currencies, bonds, and stock indices, he discusses: nine new trading systems expalined in step-by-step detail; techniques for breakout, trendfollowing, and market pattern systems; the role of artificial intelligence and neural networks in electronic trading's future.